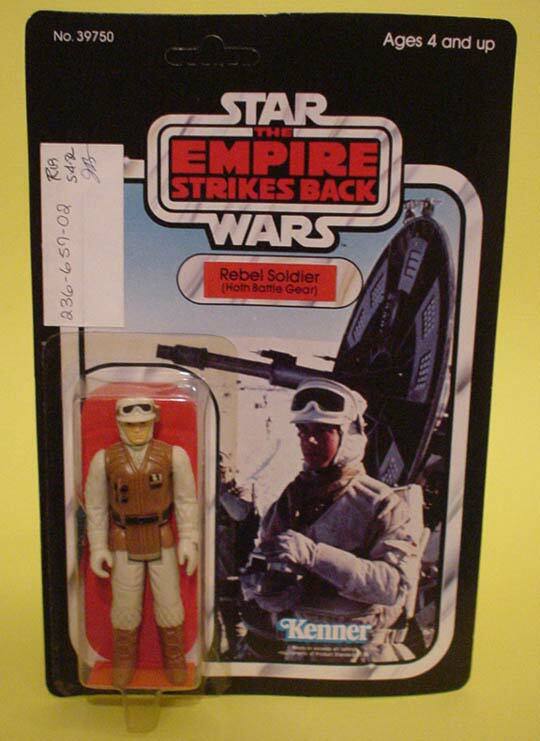 This ESB 48-back Rebel Soldier is referred to as a Quality Control (QC) sample. Carded figures of this nature are utilized for approval to determine if the final product meets specific criteria in terms of packaging quality, etc. Take note of the white adhesive label attached to the front of the card bearing the date, a code, and appropriate signature. No sign-off information is present on the back of this 48-back card, however QC labels are sometimes affixed to the rear of the card instead of the front. Here's a close-up of the label itself. 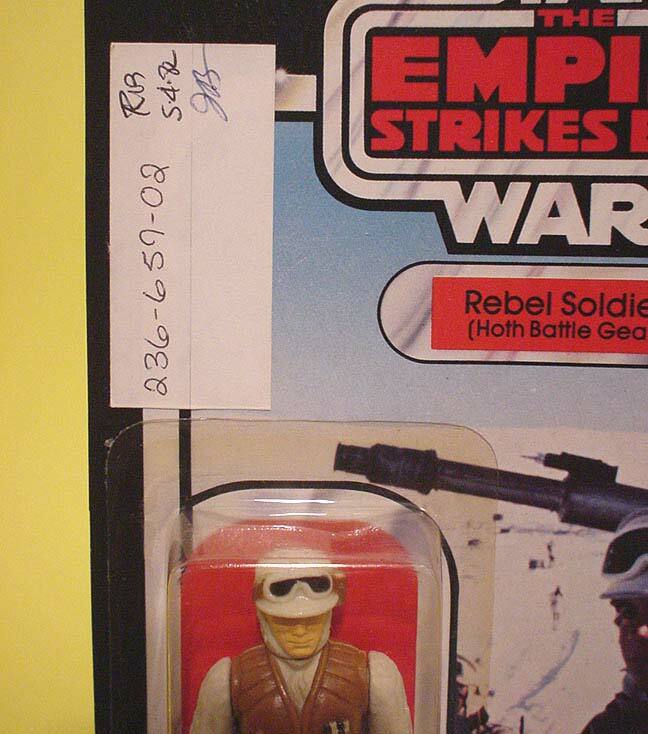 QC labels range from specifically formatted labels or index cards, to simple nondescript labels like the one found on this Rebel Soldier QC sample.